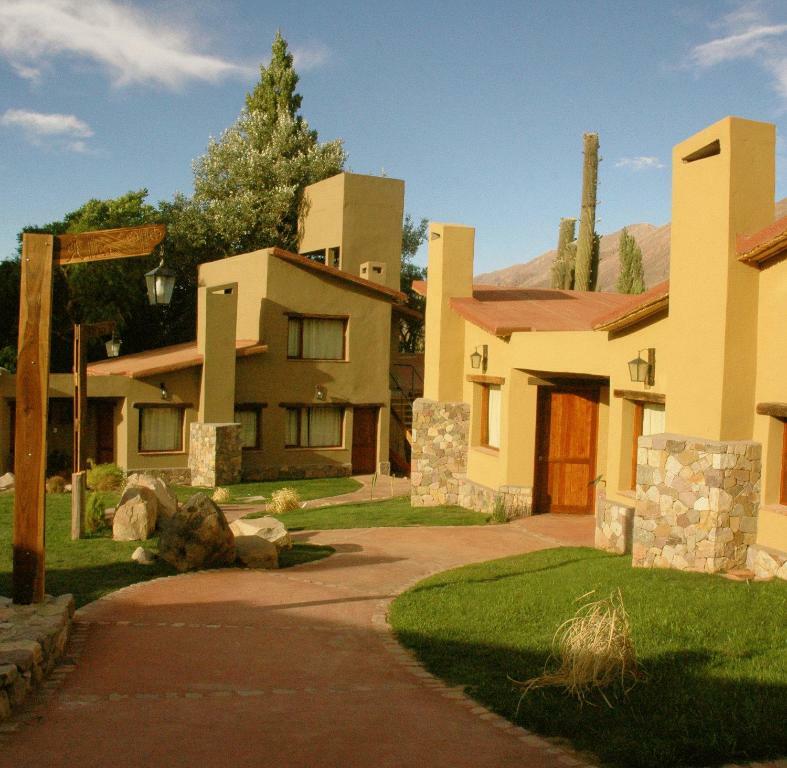 Lock in a great price for Hotel El Reposo Del Diablo – rated 8.9 by recent guests! 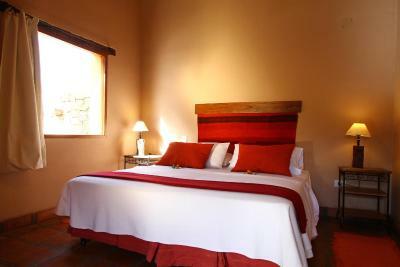 This is a beautiful petite hotel, in a quiet area around 0.6 miles away from Tilcara's downtown. The decoration is simple but charming. It has an outdoor heated pool that I didn't use. 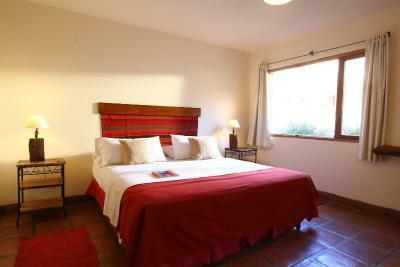 Very comfortable room and lovely communal area, including heated swimming pool. Staff were also really helpful. 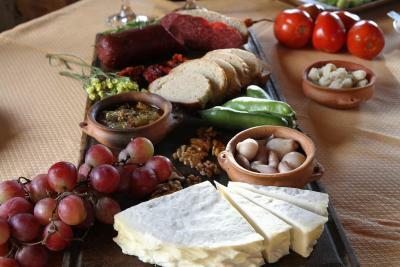 We liked everything about the place except for being overcharged and the staff’s indifference in trying to resolve it. Very good property , walking distance from main square . The staff is very helpful. Good place to stay with kids , they have a nice playroom with games. Nice rooms surrounding a little pool. Clean. Small hotel. Good bed! They have a good restaurant on site. Tilcara is a cute village and a good place to make trips to different coloured mountains. Kind people. Place was beautiful, accessible (we had a kid in a wheelchair) and breakfast was very complete. 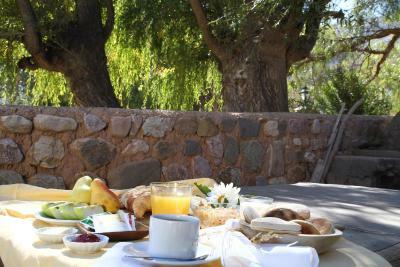 Very nice place overall, great views, delicious breakfast. Las instalaciones. La amabilidad de los empleados. El desayuno. 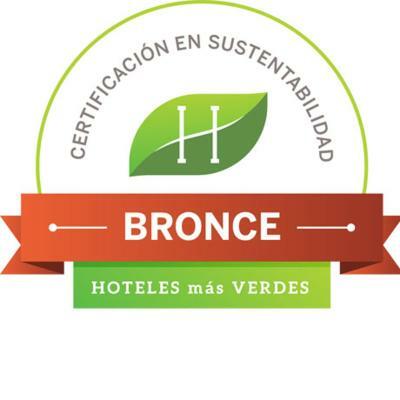 Hotel El Reposo Del Diablo This rating is a reflection of how the property compares to the industry standard when it comes to price, facilities and services available. It's based on a self-evaluation by the property. Use this rating to help choose your stay! One of our top picks in Tilcara.This boutique hotel in Tilcara offers beautiful rooms with views of the Humahuaca Valley. It features an acclimatized outdoor swimming pool and a bar. Free Wi-Fi is available. 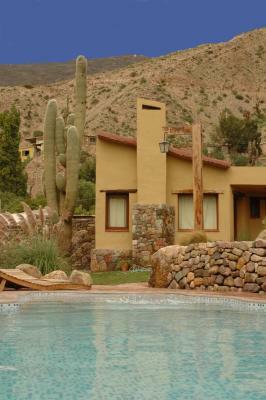 Hotel El Reposo Del Diablo provides accommodations with a private bathroom and floor heating. Finishing details are made with local materials, such as natural stone and adobe. Some rooms include a fireplace. 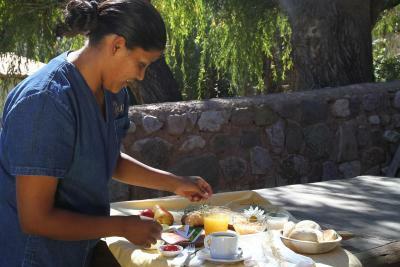 Facilities at El Reposo Del Diablo include a 24-hour desk and free private parking. Guests have access to a solarium too. 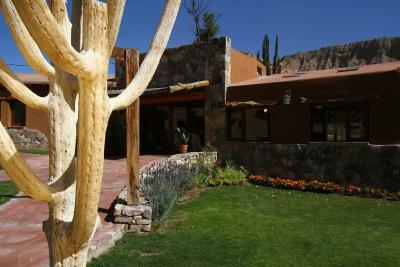 The hotel organizes sightseeing tours to several points of interest in Quebrada de Humahuaca, such as Pumamarca and Huacalera. The area was declared a natural treasure of mankind. When would you like to stay at Hotel El Reposo Del Diablo? Spacious room featuring direct access to the garden and pool, queen size beds, bedside tables with night lamps, satellite TV, seating are with coffee table and private bathroom with hairdryer. Spacious room featuring direct access to the garden and pool, queen size beds, bedside tables with night lamps, satellite TV, seating area with coffee table and private bathroom with hairdryer. This quadruple room has a satellite TV, tile/marble floor and seating area. House Rules Hotel El Reposo Del Diablo takes special requests – add in the next step! All older children or adults are charged USD 58 per person per night for extra beds. 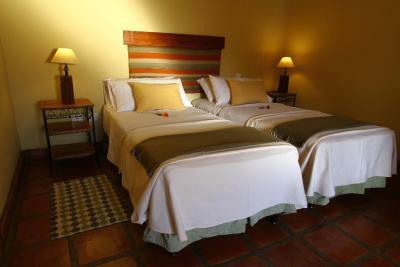 Hotel El Reposo Del Diablo accepts these cards and reserves the right to temporarily hold an amount prior to arrival. Warmed pool. Good restautant on location. Rooms were lacking any sort of AC. It gets chilly at night anyway but could be an issue during the day. Also, please note that the hotel is located uphill, so walking back from downtown could be challenging for some people (it's only 0.6 miles, but being in altitude makes it harder than usual). Also, there was a bit of mold on top of the bathroom's shower. The hotel charged us the 21% IVA tax that foreigners paying with a credit are entitled to be exempted from. The hotel blamed it on Booking.com, but we didn’t experience this problem in any other hotel on our trip and therefore don’t believe that story. We viewed it as a way to charge more than what they post on the Booking.com website. It is not something that i "didn´t like" but more some sort of an advice or recommendation: place a "Definitely No Diving" sign close to the pool since it´s a little shallow (which is great for families traveling with little kids) and diving in there could cause severe injuries in teen agers or young adults. That´s all.